and needle squid and we also doing different variety of fish products. India. Phone : 0478 - 2875555, 2872555, Mobile : 9895759205. 15 kms. to the south of Cochin. Established in the year 1989 and situated at the nerve centre of Indian seafood industry, the company is headed by Mr. K. Prabhakaran who has been in the seafood export business since 1972.Cochin Frozen Food Exports Pvt. Ltd., Arookutty Ferry Road, Aroor-688 534, Aroor, Kerala, India. unit, three decades ago and at presently stands among the leading rice manufactures in Kerala. Sealine Impex, Aluva, KOCHI, Kerala. ethnic SNACK FOOD and more...Sealine Impex, Aluva-683 112, KOCHI, Kerala, India. Contact: Pho: 0484-2838004, Mob:9961316366, 7558984884. 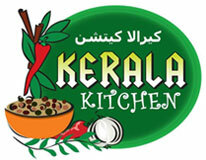 Website: www.keralakitchen.in , branding & international marketing. various international businesses and has extended into joint ventures internationally. K.P.Road, Kilikollore.P.O, Kollam [Quilon] Kerala, India. rice products etc. We are supplying all types of rice with quality in Kerala and Tamil Nadu. Kalathil Exports is international trading venture with focus on trading bulk commodites. chammanthi podi, fried thoran (pappadam thoran) under the brand name " Navaruchi "
Brief Profile : We export chilled fishes to South, Far East Asian countries, Europe Countries. 61, Venkatesan Street, Chindadripet, Chennai - 600 002, India. Ready to Eat Frozen Products, Frozen Tapioca etc. Wholsale suppliers and exporters of Indian snacks food that like potato wafers, potato chips, banana chips, tapioca chips, kerala mixture, mumbai mixture and roasted channa, roasted pea nut. Also exporting sea food, yellow fin tuna loins and indian spices. We Manufacture Spices, Powders, Curry Powder and South Indian Pickles. Devon Foods is a division of the 60 year Devon Plantation & Industries Ltd., a tea and coffee plantation company with its registered office in 29, Infantry Road, Bangalore, Karnataka, India. Kadavil Building, K.K. Road, Kanjikuzhy,Kottayam - 686 004, Kerala. Parotta, Chappathi, Appam, Palappam, unniappam, Neyyappam, Parippuvada, Cake, Chakkaada with leaf of Edanna, Samosa, Veg. cutlet, Mango from Mallussery, Kappa, Fish like localbral, Wales, etc.. Land Mutton etc. Pappada Vada, Kozhalappam, Achappam, Fried Items,Masal Dosa, Uzhunnu Vada, Sukiyan etc. Engaged in supplying and exporting of indian snacks food. Our export line of products include spices and curry delights, fresh and raw vegitables, stationary goods etc. Manufacturer and exporters of sea foods. Brief Profile : We are a leading trader in commodities. We deal in cement / urea / clinker / scraps / frozen seafoods, sugar etc. we have good clientiles in china / s. korea / europe and also in middle east countries.